When I was kid, my favourite meal and frequent birthday request was white cut chicken with ginger scallion dip, broccoli blanched in the same cooking liquid as the chicken and rice. I remember loving to eat that particular meal very much. So much so, that my entire family has created a bit of a tall tale about my love of white cut chicken. Apparently, as young as 4 years old, I was able to eat an entire white cut chicken in one sitting. I don’t remember this gluttony and I’m almost sure it’s not true as what would my parents have eaten? Neither the less, white cut chicken and all similar dishes (Hainanese, Empress, Drunken etc), remain one of my favourite things to eat. I like that it’s simple and focuses on the chicken (its flavor, quality and texture) and the preparer’s skill. As I waited for my food, I looked up what Ipoh was. Ipoh is not a “what” but a “where”. It is a region of Peninsular Malaysia (South of Thailand and North of Singapore). Ipoh is famous for a dish called Bean Sprout Chicken which looks similar to the very popular Hainanese Chicken Rice from its southern neighbour, Singapore. As far as I could tell there were only a few differences between the two chicken dishes, with the inclusion of blanched bean sprouts and use of plain white rice being the key variations. Ipoh Bean Sprout Chicken’s titular dish looked and smelled good. It featured bone in dark meat which was very sweet and juicy. The texture of the meat was firm. I really liked the preparation of the chicken as it really let the natural flavor of the meat shine. Slivers of carrots, scallions, sprigs of cilantro and fried shallots came with the slightly cooked bean sprouts. 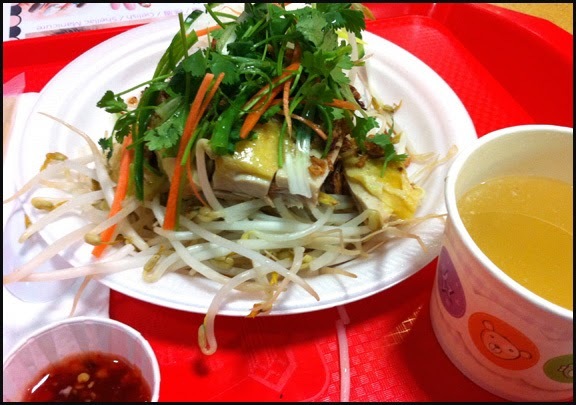 White pepper was included to help offset the “fishiness” that some Chinese people can taste in bean sprouts. Adding white pepper or ginger is the traditional method of neutralizing that off putting taste. I loved the crunchy texture of the sprouts and overall flavor of this side dish, especially the fragrant shallots. I believe a sweet soy was poured over the medley of veggies. However, I really didn’t taste it in that side dish but it was noticeable in the bottom part of the plain white rice which soaked up the sauce. Soy and rice is a classic combo in my books, so I enjoyed every bite of the soy enhanced rice. Overall I was impressed with simplicity yet flavorful Ipoh Bean Sprout Chicken dish. It’s a great light, appetizing and healthy meal option. My positive experience made me to return to the same stall to get their Hainanese Chicken Rice. The dish was average in comparison to the Ipoh Bean Sprout Chicken dish. 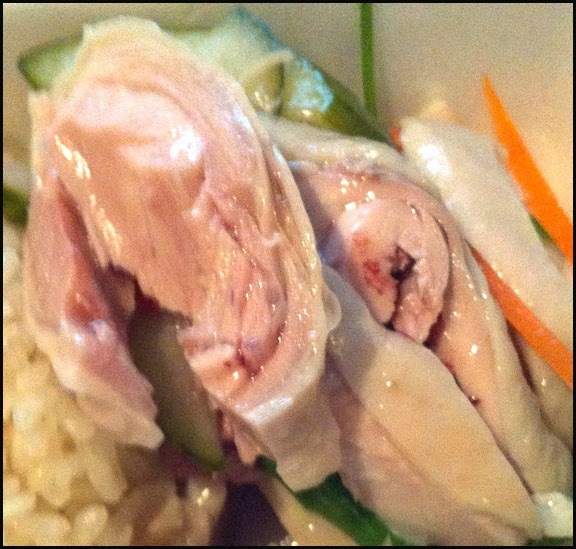 For the Hainanese Chicken Rice, the Ipoh stall uses deboned dark meat but I felt it was bland and had a softer texture. It didn’t have the same impactful umami flavor as the chicken from the bean sprout dish. 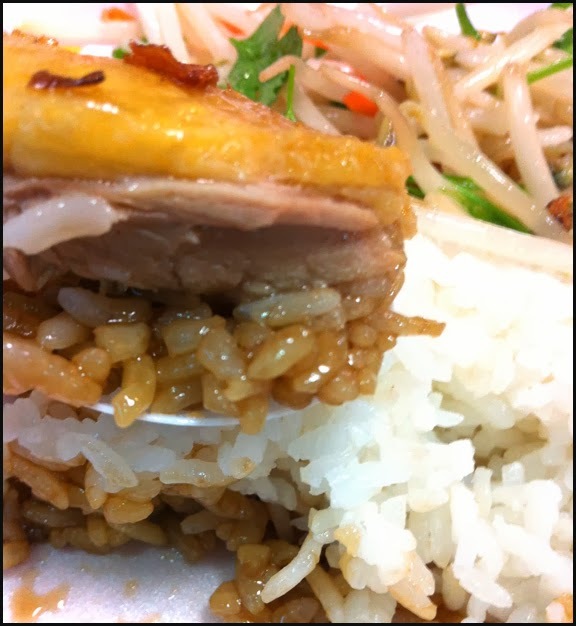 The rice had a nice chicken taste. There were also bits of garlic cooked in the rice so that added to the flavor profile of the carb. The rice actually was not mushy and actually had a bite to it which I enjoyed. Another enjoyable part of meal were the side of pickled carrots and cucumbers and the ginger scallions dip for the chicken. The pickles were mostly sweet with just a slight sour after taste. With the Hainanese and Bean Sprout chicken a small bowl of chicken soup was included. The soup only had a faint chicken taste and a few pieces of sui choy was included. After reviewing my photos, I believe the difference between Hainanese Chicken and Bean Sprout Chicken is the type of chicken used. 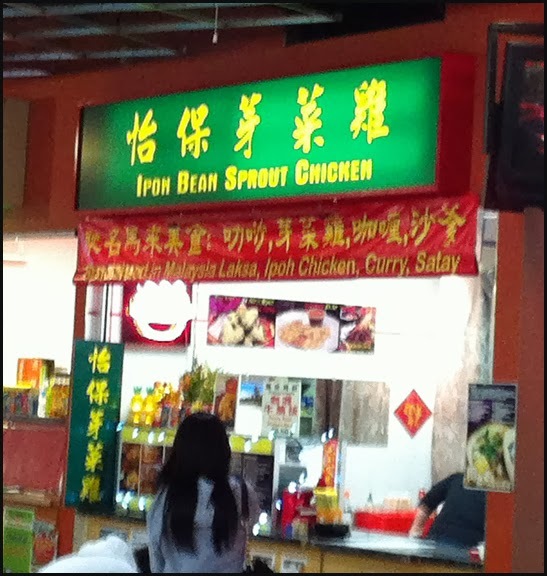 For the Bean Sprout Chicken, I think the stall uses free range chicken just based on the colour of the chicken skin, the firmer darker colour meat and the superior taste. In comparison, the Hainanese Chicken was probably prepared with regular chicken which explains its lighter colour, taste and mushier texture. 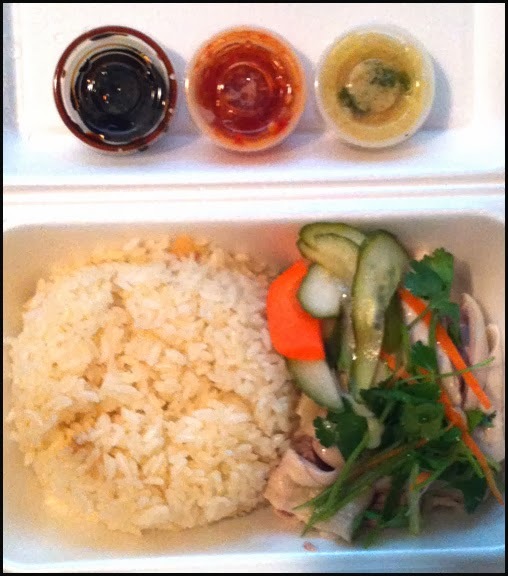 The Hainanese Chicken was not bad. The Bean Sprout Chicken was just a lot tastier and definitely the chicken dish to order at the Ipoh Bean Sprout Chicken Stall at Crystal Mall. 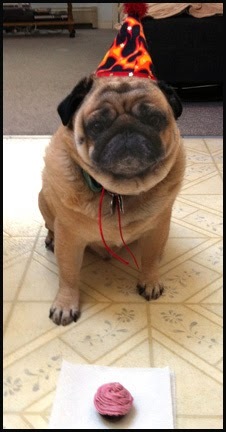 PS: This blog, Food: It Is More celebrates its first birthday this week. The most surprising thing I discovered in the past year is how much I enjoyed the creative aspect of writing. As a result I think I will continue to write about food and issues surrounding food. For people who have been consistently reading my ramblings for the last 12 months, THANK YOU and I hope you continue to visit my blog. Let’s celebrate with cake (or in my case chicken) and hope for more enjoyable dining experiences in the upcoming year!